Coinsurance -- What is It? Many commercial property policies contain a coinsurance clause. This clause imposes a penalty on policyholders that fail to purchase an adequate limit of insurance. Why do insurers care how much insurance you buy? The reason has to do with insurance to value. Insurance to value refers to the ratio of your limit of insurance to the value of your insured property. For example, suppose that you own a small office building. You consult with a building contractor to determine the value of your building on a replacement cost basis. You and the contractor conclude that the replacement cost of the building is $2 million. You insure the building under a commercial property policy at a limit of $2 million. Your insurance to value ratio is 100%. Most property insurance claims involve partial losses. If a fire breaks out in your building, it will probably destroy only a portion of the structure rather than the entire building. If this is the case, then shouldn't you insure your building for only a portion of its value? After all, you can save a lot of money if you insure a building for, say, half of its replacement cost or actual cash value. The answer is no. First, a primary purpose of insurance is to protect you against catastrophic losses. For most small businesses that own property, the total destruction of that property constitutes a catastrophe. If your building burns down, and your insurance will not provide enough funds to rebuild it, you may have difficulty staying in business. Secondly, property insurers wouldn't last long if all of their policyholders underinsured their property. Eventually, some of those policyholders would sustain total losses. The premiums generated by the policies would not be enough to cover the large losses. In property insurance, coinsurance is designed to encourage policyholders to insure their properties to a certain percentage (typically 80% or 90%) of their value. Coinsurance may apply whether your property is insured for its replacement cost or its actual cash value. Coinsurance works by imposing a penalty on policyholders that fail to purchase enough insurance to satisfy the coinsurance percentage shown in the declarations. No penalty applies if the policyholder has purchased adequate insurance. The coinsurance clause will have no effect on you until you suffer a property loss. The insurer will then compare the limit of insurance on your policy (at the time the loss occurred) to the amount of insurance you are required to purchase based on the coinsurance percentage. If the ratio is less than 1, you will be subject to a penalty. In a commercial property policy, the coinsurance clause is typically found in the policy Conditions section. The fact that your policy contains such a clause does not mean that your policy is subject to coinsurance. Coinsurance applies only if a coinsurance percentage is shown in the declarations section of your policy. Suppose that "80% coinsurance" appears in the declarations of your commercial property policy. What does this mean? The following example demonstrates how this clause will apply. Assume that you own a building that you have insured on a replacement cost basis. The cost to replace the building is $1 million. Because the coinsurance percentage is 80, you must insure your building for at least $800,000 (80% of $1 million) to avoid a penalty. Imagine that you have decided to skimp on insurance. To save money, you insure your building at a limit of $700,000. Your policy has a $5000 deductible. A fire breaks out in your building and causes damage that costs $200,000 to repair. At the time of the loss, your limit of insurance was $700,000. Based on the 80% coinsurance requirement, you were supposed to purchase at least $800,000. The ratio of the amount you carried divided by the amount that was required (700,000 / 800,000) is .875. While your loss was $200,000, your insurer will pay you only $175,000 (200,000 X .875) minus the $5,000 deductible or $170,000. Your coinsurance penalty is $25,000. One way to bypass the coinsurance clause is purchase property coverage on an agreed value basis. Under this option, you and your insurer agree, before the policy becomes effective, on a value for your property. The value may be based on replacement cost or actual cash value. Agreed value coverage applies for the term of the policy. To continue the coverage to the following policy period, you must submit a revised statement of values before your current policy expires. Another option that waives the coinsurance clause is value reporting. Value reporting is typically used when property values fluctuate. For example, a retail store whose sales vary widely from month to month may choose to insure its inventory on a reporting basis. Several reporting options are available, such as quarterly, semi-annual and monthly. You typically pay a deposit premium and then submit reports of your property values on a schedule as required by your insurer. Coinsurance is also used in other types of insurance. Examples are health and dental insurance. Many health and dental policies cover medical or dental costs according to a specified ratio such as 80/20 or 70/30. 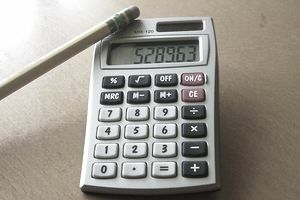 The larger number (80% or 70%) represents the percentage paid by the insurer while the smaller number (20% or 30%) is the percentage you must pay. Some directors and officers liability policies contain a coinsurance clause. Likewise, such clauses are sometimes found in professional liability (or errors and omissions) policies. These clauses should be avoided as they may require you to pay a portion of any damages award or settlement.